The time has come to take on one of the most requested and most misunderstood jurisdictions: Panama. In this article I will tell you why incorporating in Panama is probably not what you thought it was and why you probably are going to need a lot of painkillers to get through the hassle of opening a bank account there. But it’s still an exciting jurisdiction, so let’s dig into it. Contrary to popular belief, there is no such thing as IBC in Panama. I cannot make this clear enough. A lot of service providers are marketing Panamanian IBC. No such thing exists. As we learned last week, IBCs are in essence regular companies (or corporations) with special attributes such as secrecy of directors and shareholders, and total tax exemption. Instead in Panama, there are two popular types of companies: the Sociedad Anónima (SA) and Sociedad de Responsabilidad Limitada (SRL). SA are very similar to private limited companies and SRLs are comparable to LLCs. Forming a company in Panama is generally cheap and fast. Incorporations often cost under 2,000 USD even with higher-end providers. Under 1,000 USD is possible with budget providers. Time-frame is usually just a matter of days but this can be subject to enormous fluctuation. However, an often-forgot aspect of incorporating in Panama is the need for nominee directors for those seeking confidentiality. This can easily add another 1,000 USD and more for formation and annual renewal. Panama has a challenging reputation. On the one hand, it is a fairly large economy and with the Panama Canal it plays an important role in international trade. It is not a pure high-secrecy tax haven like so many others, but despite similarities in its legal framework it does not achieve the same level of prestige as Hong Kong. Although there are public records, nominees are so prevalent it is more or less assumed that non-resident-controlled Panamanian companies are secretive. There are also some concerns raised regarding the lax nature of annual filings and audits. Roughly speaking, a Panamanian company looks better than a company incorporated in the likes of Vanuatu, Seychelles, Dominica, and Belize. It is more akin to Bermuda and – arguably – even Cayman Islands despite the higher secrecy. There is no regulator in the sense specialized tax havens such as BVI and Bahamas have. Companies are regulated under different laws, primarily Ley 32 de 1927 (Law 32 of 1927) for SAs and Ley 4 de 2009 (Law 4 of 2009) for SRLs. The latter was a much needed update to laws written in the 1960s that didn’t see much traction. One shareholder (corporate shareholders are permitted). 1 USD paid up share capital. Corporate shareholders and directors are permitted. For corporate directors, full details about the directors of the corporate entity must be disclosed. The due diligence process is quite exhaustive for foreign-registered corporate directors. Bearer shares are permitted but must be deposited with a custodian (immobilized). SAs are taxed on a territorial basis, much like Hong Kong. Income accrued from outside of Panama are not in scope for Panamanian corporate tax (which currently stands at 25%, down from 30% in recent years). Like LLCs, SRLs are tax neutral and members are instead taxed on personal income. Non-resident members of an SRL are not in scope for tax in Panama but may and very likely are elsewhere. Contrary to popular belief, directors and shareholders (optional) are on public records for SAs and members for SRLs. Such records are held by the Registro Publico. While there are indications that the page is available in English, translations are in reality severely lacking. As there is no corporate secrecy to speak of in Panama, nominees are commonly used to act as directors, shareholders, or members and officers. Required but need not be submitted in most cases. Audits are rarely required. 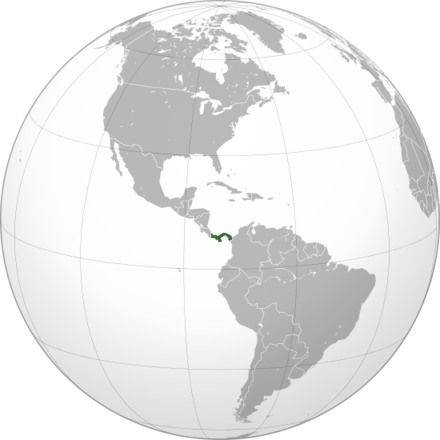 Panama is one of the two main foundation jurisdictions; the other being Liechtenstein upon whose laws Panama based its. Structured correctly, it is one of the strongest asset protection vehicles in the world. It can also offer significant tax benefits at a relatively modest premium. No, paying a service provider a few thousand dollars for a Panamanian foundation will not protect your assets or legally reduce your tax burden. It needs to be done right. A Panamanian foundation is founded by one or more founders who each contribute at least 10,000 USD to the foundation. The foundation forms its own estate, i.e. it assumes ownership of the contribution (assets). Day-to-day management of a foundation is undertaken by the foundation council. In many cases, this is an entity which is owned by nominees or, in more advanced situations, by paid full-time managers. (The difference being that nominees are essentially passive.) Some opt to have a protector which is a person or designated legal body whose approval the foundation council must seek before deciding on how to manage the foundation’s assets. Lastly, there are beneficiaries, who are the persons (natural or juridical) for whose benefit the foundation was created. This cannot be the founders, similar to how a in a trust the beneficiary cannot be the settlor. Foundations are legal entities and can for example own property and undertake many but not all of the rights and privileges of a corporation. No tax is levied on foundations other than 300 USD annual franchise tax. The costs of forming and running a foundation arise from administrative fees. Expect around 4 – 6,000 USD for formation and 3 – 4,000 USD for maintenance of the foundation. Maintenance of the assets can itself incur other fees (private banking). As always, this is not a recommendation. The Panamanian banking sector is onerous and lagging. For reasons that remain unclear, Panamanian banks think they are the greatest gift to the international banking sector. This must be because you so rarely see Panamanian representatives at international banking conferences because there is nothing spectacular about banking in Panama any more. The banks are taking due diligence to such an extreme that it surely detracts dozens of legitimate applicants for every truly high-risk customer. Banks in other jurisdictions from time to time go a bit overboard with the due diligence process, but no compliance departments are as creative as Panamanian ones. Much of this doesn’t apply to wealth management. I have seen examples of accounts being opened with just a passport and showing an account statement from their bank through a mobile app. Panama lacks a central bank. Its banking sector is largely market-driven but oversight is provided by the Superintendencia de Bancos de Panamá (Superbancos or SBP). This is no doubt a contributing factor to why banking in Panama is such a mess. Something SBP does very well, though, is present information about banks in Panama such as a nicely consolidated list of credit ratings of Panamanian banks. Now, I don’t mean to say that banking in Panama is bad. The process of opening an account is but once approved, banking in Panama is fairly straight forward and thanks to modernisations a number of years ago, the banks still look and feel fairly modern. Wire transfer speeds are generally acceptable and the compliance burden is relatively mild with the better banks. Expect to be asked for invoices and proof of payment from time to time, but not beyond what is normal in international banking nowadays. Panama was notorious for its banking secrecy until 2009, when OECD placed the republic on a list of uncooperative countries. The response was cautious from Panama but it started signing more tax treaties to appease the OECD. This wasn’t enough to US authorities and Panama capitulated in 2011 when it signed an agreement with the US which gives US authorities essentially unlimited access to information held by Panamanian banks. For non-US persons, Panama still has a relatively strong banking secrecy. Panama is able to comply with requests for information under tax treaties (TIEA/DTA), though. There are 94 licensed banks in Panama. These banks are typically not involved with non-resident companies. Banca Privada d’Andorra (Andorra) – as of writing under control by authorities in Andorra and Panama. Varies depending on where in the country you set up base but most foreigners end up in the major coastal cities, mainly Panama City and Colón. Costs of living are much higher here, especially Panama City, but still well below comparable cities in wealthier nations. Panama is generally safe but there are of course areas to avoid, whether it be due to crime or perils of nature. Communications and infrastructure are probably the best in the region. Territorial taxation applies to personal income, meaning that income arising from outside of Panama is exempt from tax. The tax authorities aren’t as easy-going with personal income as with corporate tax, meaning it’s wise to be especially diligent about keeping records to prove the origin and source of funds if need be. Aside from that, Panama has medium to low taxes. There is no inheritance or wealth tax, but there are a number of capital gains taxes. Sales tax ranges from 7% to 15%. To qualify, a person must be a national of any of the above, deposit 5,000 USD into a Panamanian bank account (plus 2,000 USD for each dependant), and to show some form of economic activity in Panama. The latter is often achieved by forming a Panamanian company. The company cannot merely be a dormant entity but must show some degree of activity and it is up to Panamanian authorities to determine if these activities are adequate. From what I have seen, the authorities are currently being very lenient. It is not necessary to live in Panama to get this residence permit. If approved, you and any dependants become a Permanent Resident of Panama and are issued a cédula (national ID card). The entire process can be quite quickly executed if due preparations are made in advance and you have a law firm helping you on the way. A visit to Panama is required and it is wise to set aside at least a week. All in all, I have seen the process executed for well under 10,000 USD for single individuals. Another option is an investor visa which requires a deposit of 160,000 USD. Attaining Panamanian citizenship is not entirely as easy as it comes with residence requirements. Panama is an excellent jurisdiction for incorporating in a medium-reputable jurisdiction. It looks best if Panamanian companies bank in Panama and make sure you have all your ducks in a row before approaching one of the fine financial institutions based there. Having a good introducer will help significantly and is in many cases required for non-residents. Life in Panama can be very comfortable and with easy-going immigration, it is no wonder it has become a popular destination for international entrepreneurs, permanent travellers, and other. Click here to see other posts in the Jurisdiction Spotlight series.